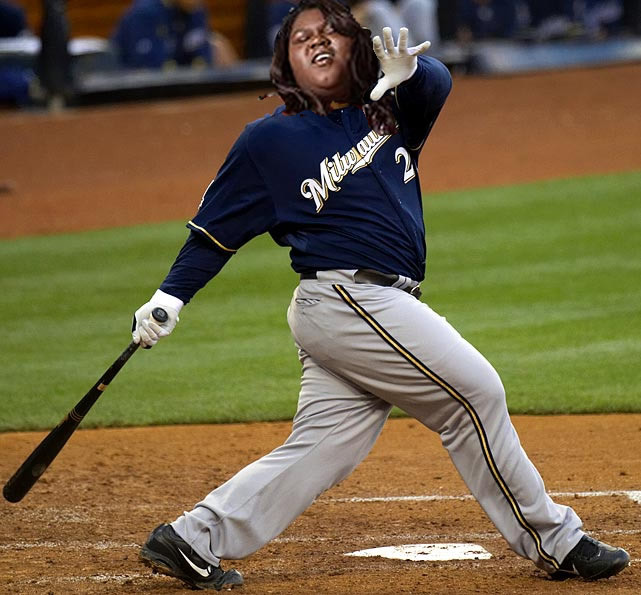 There dream exclusively featured Gabourey Sidibe, a.k.a. Precious (she will forever be tied to this role like Jon Heder is to Napoleon Dynamite). She played on my softball team, and she brought some an amazing talent. She had a fantastic bat that warranted unlimited homers over the fence. Which worked out immensely well, seeing as how she had great difficulty running. We tried her at first, and we tried her in right field. But it just wasn’t working. So then it occurred to us – deep, deep centerfield. It worked like a dream. She was a dream. It was… a dream. I think she's even wearing high heels. You go girl.